Senior caps stellar career with KVAC slalom championship. FARMINGTON — Fear provides the best motivation, a mantra to which Ellie Pelletier subscribes completely. Three years after breaking her leg so severely her anterior cruciate ligament tore away from her tibia, the Mt. Blue senior capped a dream season on the slopes. Pelletier won the Kennebec Valley Athletic Conference giant slalom championship and placed fourth in the same event in the Class A state meet. 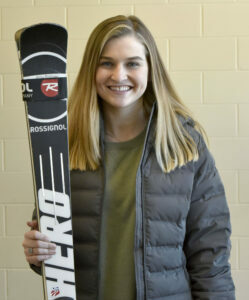 For her efforts, Pelletier is the Morning Sentinel Girls Alpine Skier of the Year. That’s a high honor for somebody whose high school skiing career got off to an auspicious start. “It took about six months before I could even put my foot on the floor,” Pelletier recalled of the treatment that followed a crash in her first race as a freshman in high school. 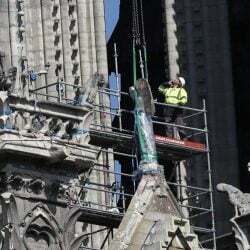 “They said we could cast it with a cast up to my hip. But what kid wants a cast up to their hip? The crash and the subsequent rehab provided all the motivation Pelletier would need over the next few seasons. She originally hoped she would be able to just finish in the top 20 in her first races as a sophomore. Instead, she finished third that first time out of the gates. Fast forward to this winter, and Pelletier went undefeated in slalom during the regular meet season. Pelletier takes particular pride in her slalom results this season because she doesn’t feel like she’s a natural for the event. Named as the sole representative on the KVAC giant slalom and slalom all-star team, her well-roundedness is obvious. But she still finds flaws in her skiing, which she hopes to take to either the University of Maine or Colorado State University next fall. One major difference this season came with Pelletier’s new boots. Stiffer and tighter now, she said she saw immediate improvement. After finishing second in the KVAC slalom meet as a junior, she’s now the champion. “My knees go together when I ski. I’ve always had that problem,” Pelletier said. “Progressively this year, though, you could see them coming apart. When I got into the new boots, it was immediately, ‘Oh my gosh, this is so different and so much better.’ I wished I’d done it before. Confidence was a factor to her success this season. She needed to overcome the idea that slalom wasn’t her game, that she was much better suited to giant slalom — where speed is more critical than technique. And she needed to conquer her fears. “I’ve always loved giant slalom more than slalom. But this year, I won all of my slalom races, and especially early in the year that was super encouraging for me. Before, I would stand in slalom gate and know that wasn’t want I liked to do.